The Implementing Cisco IP Routing (ROUTE 642-902) is a qualifying exam for the Cisco Certified Network Professional CCNP, Cisco Certified Internetwork Professional CCIP, and Cisco Certified Design Professional CCDP certifications. The ROUTE 642-902 exam will certify that the successful candidate has the knowledge and skills necessary to use advanced IP addressing and routing in implementing scalable and secure Cisco ISR routers connected to LANs and WANs. The exam also covers configuration of secure routing solutions to support branch offices and mobile workers. Troubleshooting and Maintaining Cisco IP Switched Networks (TSHOOT 642-832) is a qualifying exam for the Cisco Certified Network Professional CCNP, certification. The TSHOOT 642-832 exam will certify that the successful candidate has important knowledge and skills necessary to (1) plan and perform regular maintenance on complex enterprise routed and switched networks and (2) use technology-based practices and a systematic ITIL-compliant approach to perform network troubleshooting. My choice of ICT-Training institute was based on the intellectual and well experienced faculty and impressive management. I studied MCITP, and Linux Administration. 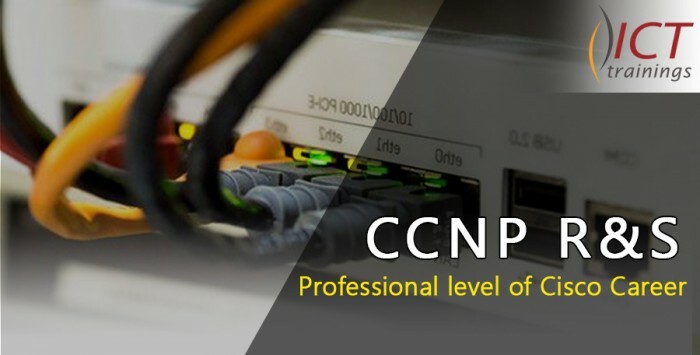 I am currently going through CCNP (R & S) training. I found faculty very co-operative and well trained specially the presentation style is fabulous. I realized at this stage that I made a right choice of joining ICT-Training institute.